← This One Goes to Eleven! 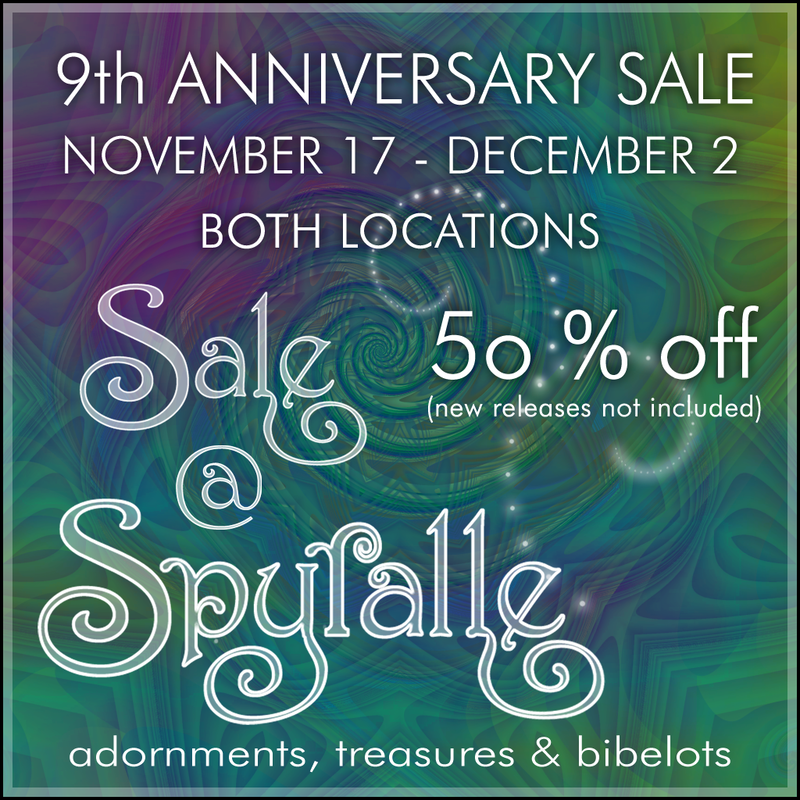 Almost everything is 50% off for Spyralle’s 9th Anniversary Sale, going on now at both of our locations. We have some special events coming up too! Watch for announcements in world and here on our blog. For all the latest information, go to our event page here. This entry was posted in Events and tagged Sale, Spyralle. Bookmark the permalink.